Spend relaxing, unforgettable days of your summer holidays amid the vacation paradise that is Kaprun, nestled in the midst of Hohe Tauern National Park. Kaprun's ideal location makes us a perfect base for our guests to set out to fascinating points of interest, sightseeing attractions and a variety of in- and outdoor activities. In Nov. 2010, the Tauern Spa was opened on the edge of Kaprun. Immerse yourself in this gigantic, wondrous world of water, with a water area of no less than 2,000 m2. Only a 3-minute walk from our apartments is our popular local peak, the Maiskogel. In summer this is an ideal starting point for relaxing, refreshing hikes in the mountains and across our alpine pastures. And now there is a brand-new attraction: at the foot of the Maiskogel, a large playground and an alpine roller coaster, promising enormous fun for big and small, have been built. Summer Holidays – MORE AFFORDABLE THAN EVER BEFORE! In summer, Austria’s most beautiful sights ... all inclusive! The Zell am See – Kaprun Card is here, offering the region’s summertime visitors a very special service: action, adventure and variety, all on one single card. And best of all: it’s included as part of your stay! As a result, your stay here adds yet another fascinating facet. 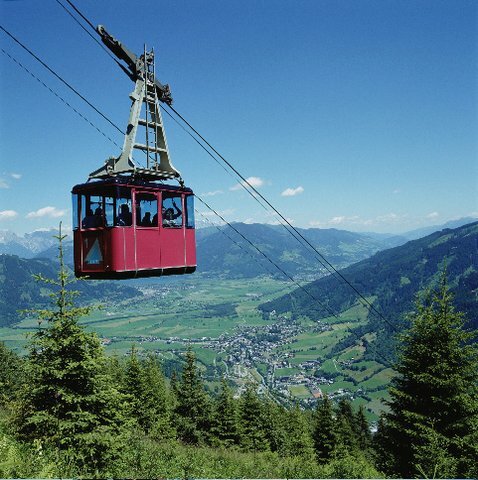 From the very first minute you arrive, you will be able to enjoy all of the advantages of the Zell am See – Kaprun Card. Pure enjoyment – which also means, in future you will be able to save money on all of those entrance fees. You can experience the mountain lifts, beaches and indoor pools, buses, railway, natural attractions and countless sights without paying one cent extra – and our Bonus Partners also offer attractive bargain prices. So, as you can see, the Zell am See – Kaprun Card is really worth having. And as our guest, you will receive this Card the moment you arrive! Use the Zell am See – Kaprun Card as often as you want, for the ultimate à la carte vacation experience. Card holders can use the cable cars to the summits of Schmittenhöhe and Kitzsteinhorn once within six days. This holds true for a boat trip on lake Zell, too. The use of the glacier ski lifts is not included. All other facilities in operation can be used as often as you like. Adventure Golf - Woferlgut in Bruck a. d. Großglocknerstr. Diesel cinema Bruck in Bruck a. d. Großglocknerstr. Still not enough? Then we’d love to have you come back again next summer!